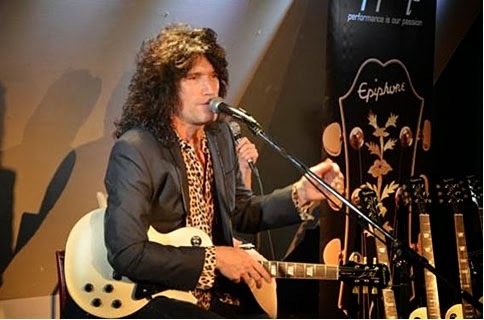 Epiphone Signature Artist Tommy Thayer was in Tokyo recently for a KISS show at the world renowned Budokan arena. When it was announced that Tommy would also be making a personal appearance at Epiphone Authorized Dealer Ishibashi Gakki, tickets for the meet-and-greet sold out in just 5 minutes! Tommy met fans, answered questions, and demonstrated his Epiphone Tommy Thayer "Spaceman" Les Paul Standard signature model. Thanks to Tommy and Ishibashi Gakki for making this event a huge success!